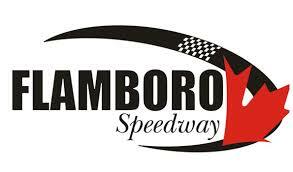 After a small break, the OSCAAR Pro Sprints are set to get back to action this weekend at Sunset Speedway for their seventh event of the season. Daniel Hawn enters as the series points leader with momentum on his side after winning six of the seven races this season, along with a fourth-place finish. Notably, he has won the first two OSCAAR Pro Sprint events at Sunset Speedway. James Stanley could be the next driver to break into victory lane as he scored a runner-up in the series’ most recent event, which took place at Grand Bend Speedway. He has ran well at Sunset Speedway previously, scoring a third-place finish in the inaugural event. Shawn Stanley will look to build upon some momentum following a season-best third-place finish at Grand Bend Speedway. He finished ninth in his first Sunset Speedway appearance. Rob Summers will be looking for another top-five after posting a pair of sixths at Grand Bend. He finished seventh in his inaugural Sunset appearance. Gary Triska will be looking for another top-10 this weekend after scoring four straight entering this weekend. He finished 10th at Sunset Speedway in July. Ryan Battilana will hope to score his first career OSCAAR podium finish this weekend as he has started off the 2018 campaign with four fourth-place finishes. Two of those, by the way, happened at Sunset Speedway to start the year. Jayden Riddel will be looking for his second career OSCAAR Pro Sprint victory after becoming the series’ youngest winner with the victory at Grand Bend Speedway. He finished seventh and fifth in his pair of Sunset appearances. Kevin Taylor hopes to keep things going smoothly following no finishes outside of the top-eight, including a season-best fifth at Sunset Speedway in May. Norman Newman enters this weekend looking to turn his season around after back-to-back poor finishes at Grand Bend. Notably, he finished third at Sunset Speedway in July. Brian MacDonald will be looking for continued improvement as he has yet to finish outside of the top-10 this year, with a season-best fifth at Grand Bend. Brody Rickwood is working out the bugs, and it seems to be showing itself following a season-best fourth at Grand Bend. Bill Heatherton made his 2018 debut at Peterborough in August, placing ninth. Steven Harwood will be making his series debut this weekend after buying a car previously piloted by Raymond Anthony.